With several shipping companies to choose from and each one offering a wide range of services, it can be difficult to determine which one offers the best compromise between service quality and cost-effectiveness. Two of the world’s largest shipping companies, FedEx and UPS have recently announced upcoming changes to their pricing models, and these changes are set to come into effect in January, 2015 and December, 2014 respectively. Following its rival FedEx, UPS also plans on changing their pricing structure to take into account package dimensions rather than just weight, and this will impact around two thirds of ground shipments, almost certainly resulting in increased shipping charges for companies which use their services. While the changes aren’t likely to pose a problem for companies shipping small goods, they will have a significant impact on those shipping large goods ranging in weight. Fortunately, companies have been given plenty of time to reconsider their shipping carrier options, and for those shipping larger packages, the US Postal Service will likely be a better option, since it continues to charge primarily by weight rather than by dimensions. Although there might appear to be plenty of time for companies to prepare for the changes, it is highly advisable to start reconsidering shipping plans immediately, since it can take some time to find the optimal solution for your particular business. 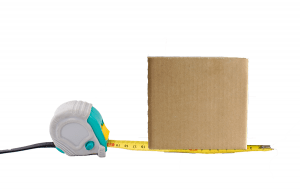 Not only does the USPS continue to charge by package weight more so than size – it also works in conjunction with certain address validation services. Address validation helps to reduce shipping costs by ensuring that packages get delivered to the right place. With address validation, companies will be able to avoid the additional expense of reshipping fees in the event of parcels going astray. Another welcome result will be increased customer satisfaction, and companies will be able to reassure their customers by letting them know that they are using address validation to make sure that their deliveries are properly taken care of. Good communication between your company and your customers is also critical. Missing or late deliveries are a major nuisance, and many consumers won’t give a company a second chance in this regard, so there is all the more reason to maintain clear communication and choose a dependable service provider for your shipping needs. Offering free shipping is another important factor to consider. More than half of online retailers now offer free shipping to their customers, and in order to remain competitive, your company should do the same. However, in light of the upcoming pricing changes with FedEx and UPS, it is time to reconsider your shipping options so that they remain cost-effective while still being able to provide a reliable service. USPS works in conjunction with DOTS Address Validation-US, a CASS-certified address verification service which helps to ensure that your shipments arrive at the right place. All USPS address data is built into DOTS Address Validation-US, allowing companies which use USPS to streamline their shipping procedures and save money for both themselves and their customers.